You can select the features you want without having to pay for features you don't need. They offer 24/7 comprehensive security and protection with very affordable plans to choose from, while cellular monitoring ensures that you have a reliable connection with monitoring stations at all times. AT&T Digital Life is a security system developed by the famous phone company that combines the quality product they are well known with the type of technological progress of a company that pushes boundaries. They offer a compelling alternative to the average home security system on the market with a move away from the modular approach. Using cellphone, landline, and broadband connection, AT&T Digital Life offers some of the most advanced tech to ensure you the get the best home security system on the market. Vivint has built a solid reputation for high-end wireless equipment that works, pro installations, and superior customer service. They currently serve more than half a million customers by giving people exactly what they want - a fully integrated smart house experience. Vivint offers a complete range of US manufactured sensors and smart devices as well as having their own monitoring centers in place. Most home security providers will do their best to lock you into a long-term contract, but SimpliSafe gives you the choice of system to buy, easy DIY installation, and you also get to own your equipment. This company guarantees that, if you don't like your system, you can return it and get your money back within the first 60 days of purchase. If you want a security system without having to sign a long contract, SimpliSafe might just be what you've been looking for. If you're interested in securing your home with some basics, Scout may be perfect for you with door, window, and other motion sensors. They also offer a no-tool installation and let you build your own custom plan. This can help you choose the options that best fit your home security system needs while avoiding unnecessary coverage. This type of accessibility is highly desirable by many homeowners because it enables them the flexibility to connect to superior technology devices and ensure their home security is on the level that they imagined it to be. Protect America prides itself on its customizability. Customers can pick the solutions that work best for them, and you don't have to pay for the features you don't want or really need. They also provide free equipment including control panel, motion sensors, yard signs, window stickers and door sensors. You can access to your security system through your phone via broadband or even cellphone connection. This allows you to monitor your home in real time. Link Interactive is known for its advanced technological security system. They allow you to use your phone to automate your entire home security experience. You can control the locks, lights, or temperature from your mobile device. Different plans give you access to different light bulbs, lamps, a garage door remote control, or even specialized thermostats. LifeShield offers consumers a free system with monitoring for a monthly fee (plus the fee to activate). LifeShield is great for people who are renting an apartment for the first time. You don’t have to own the place you are living in to get a reliable home security system. Frontpoint uses a simpler approach to monitoring options. They offer a 100% cellular connection, alleviating the dependency on a phone line, internet connection, or any other system within a home. One of the main benefits Frontpoint has to offer is its portability for home renters while still offering a reliable monitoring service. Wireless and cellular connections not only make for more safety and comfort, but power cuts and faulty lines or missing landlines are a problem of the past. This company is one of the biggest companies in the security market, and as a result, is able to give customers much more sophisticated technology than their competitors. 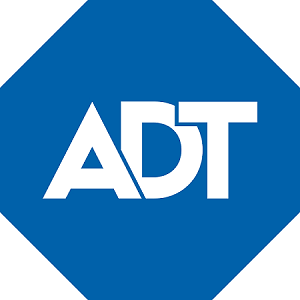 ADT will ensure you have the most up to date and professional experience while protecting your home.